Our plugin it’s very good!!! It’s possible to help me to this ?? 1) Floating sharebar – This feature is used to share the active page URL to social networking sites. This is currently used by you. 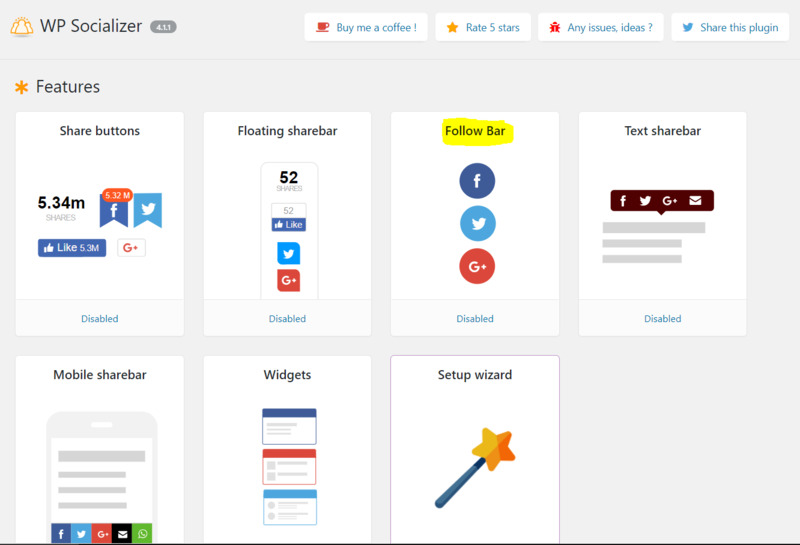 2) Follow bar – This feature is used to add social media profile links on the site. So I would suggest you to use the “follow bar” feature instead of “floating sharebar” feature. Please do confirm me if the problem has been solved. I’m marking this thread as resolved for now.